If the rebranding of S.League as Singapore Premier League (SGPL) is being seen as a litmus test for the current Football Association of Singapore (FAS) Council, it would mean there is little confidence on them from the general public. Right after the unveiling of this worst kept secret of Singapore football days ago, barrage of skepticism were hurled from all corners on the Republic's only professional sporting competition, labelled it nothing more than just comestic makeover than attempt to eradicate the root problems once and for all. "They are just trying to bury the ghost, without realising that soil can’t keep the spirit out of its tomb," said a former FAS official who declined to be named when sharing his thoughts on this rebranding exercise with this blogger via text. He added:"Instead of fixing something that’s broken, they give it a new coat of paint and call it new." 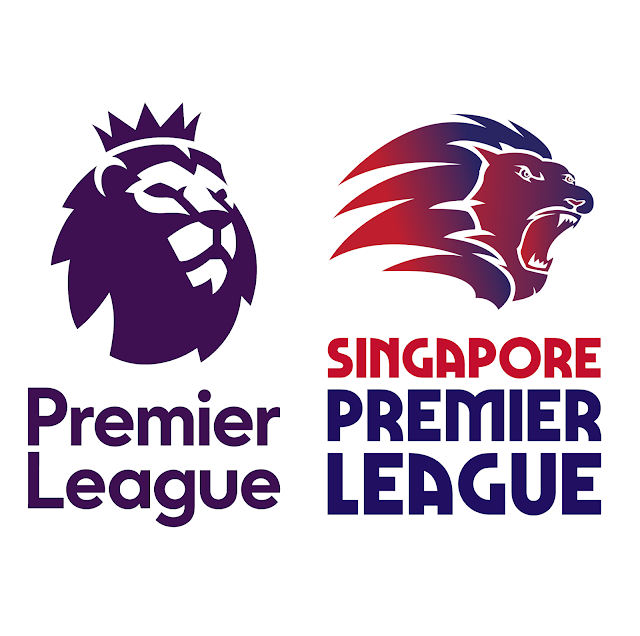 on the changes such as the name of the competition which many fans opined the name 'PREMIER LEAGUE' is already synonymous with the dominant English Premier League (EPL). Other than the name that drawn criticism from the fans, the new Lion head logo is not spared from controversy either. A number of fans registered their opinions (source:1, 2) on the new logo which some critics insisted there are similarities with a logo once proposed for Detroit Lions in the States and that of the EPL's. A feedback posted by Sytse Korts, a member on this blog's Facebook page did not mince his words when he suggested the new logo is like "a lion head that looks like it got squished between MRT carriages". "But no, FAS does this less than two weeks before the season starts; no time to properly advertise and build synergy with other brands or have community outreach." The above mentioned thoughts were echoed by a reader who first posted his thoughts on this blogger's personal platform that was reproduced as one of the comments on this blog's previous entry prior to this. "This isn't how you do rebranding. Who even rebrands weeks before the start of the season?" 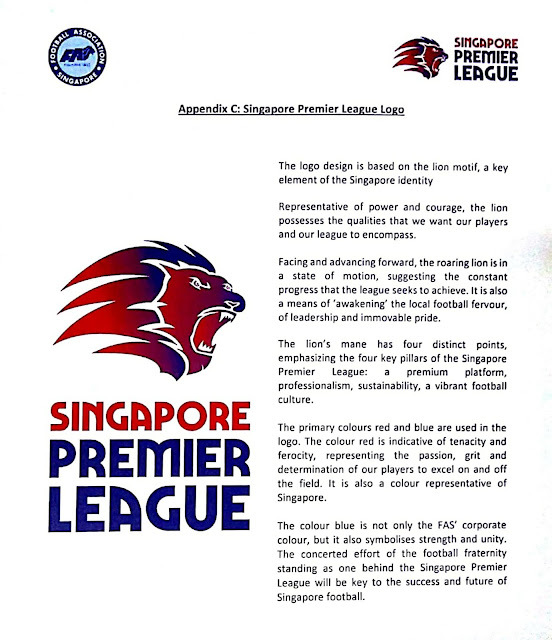 said Bhas K.
"Rebranding was the final shot at redeeming Singapore soccer and they (FAS) blew it with this superficial cosmetic toothless exercise. "There are structural and systemic issues that need to be addressed all the way down to club level as part of rebranding. No one is going to come watch your league just cause you have a new logo and name." Thai League also started with changing of name and slowly evolve to what it is now...why do people think tt we can be EPL overnight?? Even we hv EPL clubs in SG, do we have EPL fans?? 22 years is really short in the grand scheme of things... it may have worked for the English Premier League because they were sitting on decades of League history. We haven't fully utilised ours. Only some of the old boys went on to form the S.League, so in a way it's a second complete reboot in under 30 years. Thai might have started with the same thing but what additional other things have they done? What are we going to do? During the time when we are at our best with Fandi , Sundram you see kids playing football everywhere at void deck. It is not the kind of environment we are having now. Every sports program incur a fee. Pay to watch anything and everything. Remember what happen to the last Olympic games? You are saying we are going to get better? We shall see. I am not that optimistic about it. Pple don't seem to know that our league have always been the premier league.. To be fair to Thai League, they had a complete true overhaul that encouraged professional football. And to be fair to FAS, let's not compare better leagues to them.